Discussion in 'Console & PC Gaming' started by GTPNewsWire, Nov 23, 2018. This article was published by Kyle Patrick (@SlipZtrEm) on November 23rd, 2018 in the Gaming category. 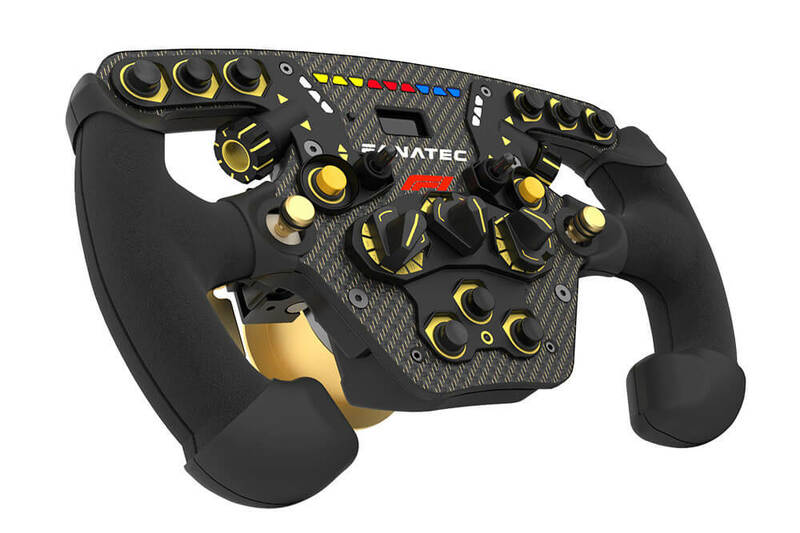 So this brand new F1 wheel needs the Podium Series Advanced Paddle Module? No but you can buy the paddle module and add it in place of the existing shifters. That new F1 rim is very nice looking piece of kit. Which is insulting IMO. Why the hell would your top tier wheel NOT come with this already? I almost picked one up. But seeing that was really disappointing. Insulting? Strange word to use, disappointing maybe but insulting? People really do get easily offended these days. NaketWookie, Brzlav, F1Aussie and 1 other person like this. Yeah but where the sale for the CSL Elite for PS4 bundle? Why they doe offer no Big Discount for that? That is one sweet looking rim, glad I ordered one! This is a ClubSport Series steering wheel. The Advanced Paddle Module is a Podium Series upgrade. F1Aussie, poumpoum and Brzlav like this. The CSL Elite F1® Set - officially licensed for PS4 ($599.95) is a mighty enticing deal actually.